Ffestiniog Travel: Ffestiniog Travel Looks Forward to Celebrating 40 Years of Rail Holidays of the World! Ffestiniog Travel Looks Forward to Celebrating 40 Years of Rail Holidays of the World! *WIN A WEEKEND IN PARIS BY BEING THE FIRST TO INTRODUCE 40 NEW CUSTOMERS TO US BY MARCH 2014! Ffestiniog Travel are one of the UK's leading rail tour operators and were the first to run commercial rail holidays to Europe when we launched 40 years ago back in 1974. Our inaugural tour was to Switzerland which proved so popular that we had to run two parallel tours to accommodate the 70 plus travellers. We have remained loyal to our railway roots and as a sister company to the Ffestiniog and Welsh Highland Railways are a strong supporter of the preservation of railways at home and abroad and this is reflected in our annual 'Rail Holidays of the World' tour programme. 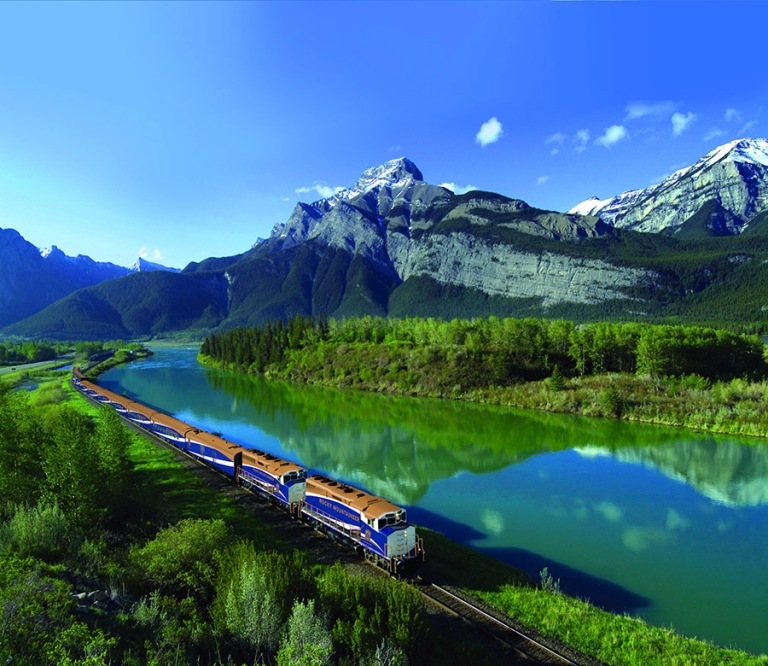 To celebrate our milestone year we are running a fitting 40-day 'Around the World Anniversary Rail Tour' which circumnavigates the Northern Hemisphere, taking in Europe, Russia, China, Canada and North America. Details of this celebratory tour and a sneak preview of the 2014 escorted tour programme are included in our Pre-Brochure. Look out for the new tours within the UK; a French rail holiday tribute to mark the 100th Anniversary of the start of WW1; a tour to celebrate 150 Years of the Rhaetian Railway in Switzerland as well exotic rail holidays to Eritrea and Vietnam. Over the last 40 years we have gained a growing and loyal customer base, most return to travel with us regularly, confident of a holiday that is of a high standard, relaxed and rich in culture and rail journeys. As a member of AITO, Ffestiniog Travel works closely with travel agents and consultants on a commission-led basis. As part of our 40th year we would like to invite others in the trade to get to know FT more and promote our rail holidays, assured of the fact that they are endorsing a well-established rail tour operator with a proven track record! Escorted tours are a major part of FT’s business but we also run a busy tailor-made ‘Signature’ department for bespoke rail holidays for couples, families and groups. Our 'Special Interest Tours' are also popular with organisations requiring travel arrangements for their geology, music and flower study tours to name a few.